After almost 35 years Public/Private Ventures (P/PV) has ceased operations. The organization leaves behind an incredible legacy of knowledge, including hundreds of research reports, case studies and evaluations about how best to improve programs and outcomes for children, youth and families. We are fortunate that P/PV has decided to archive its publications collection with the Foundation Center's IssueLab so that practitioners can benefit from this knowledge for years to come. 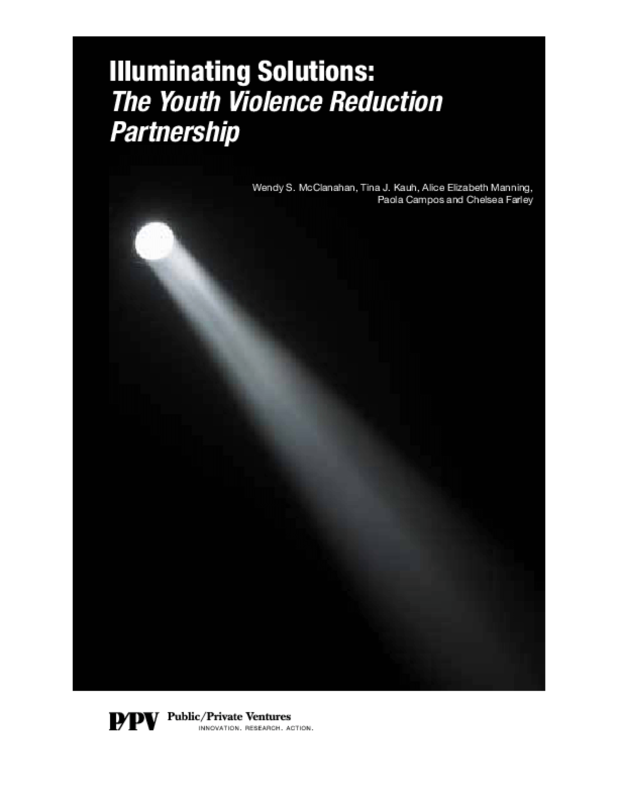 Over the last decade, P/PV has undertaken several studies of the Philadelphia-based Youth Violence Reduction Partnership (YVRP), an intensive collaboration that targets young people deemed at highest risk of being involved in a homicide. YVRP provides young probationers with enhanced supervision and support, with the goal of keeping them out of trouble and putting them on a path toward productive adulthood. 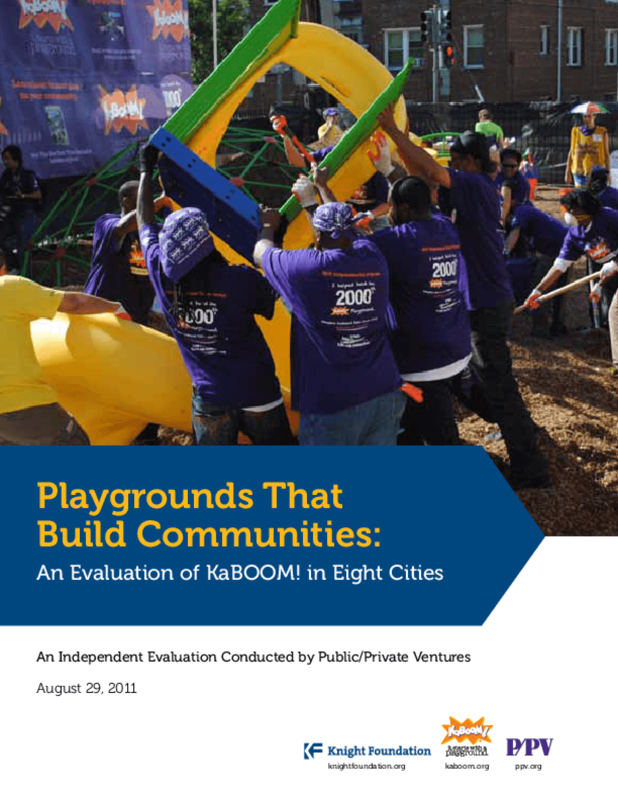 Presents evaluation findings about the impact of KaBOOM's projects to plan for and build playgrounds with community members on leadership and skills development and community building and, in turn, the potential for sustainable community engagement. During the past decade, "intermediary organizations" have proliferated across the nonprofit sector. These organizations are typically positioned between funding entities (e.g., government agencies, foundations and corporations) and direct service providers. 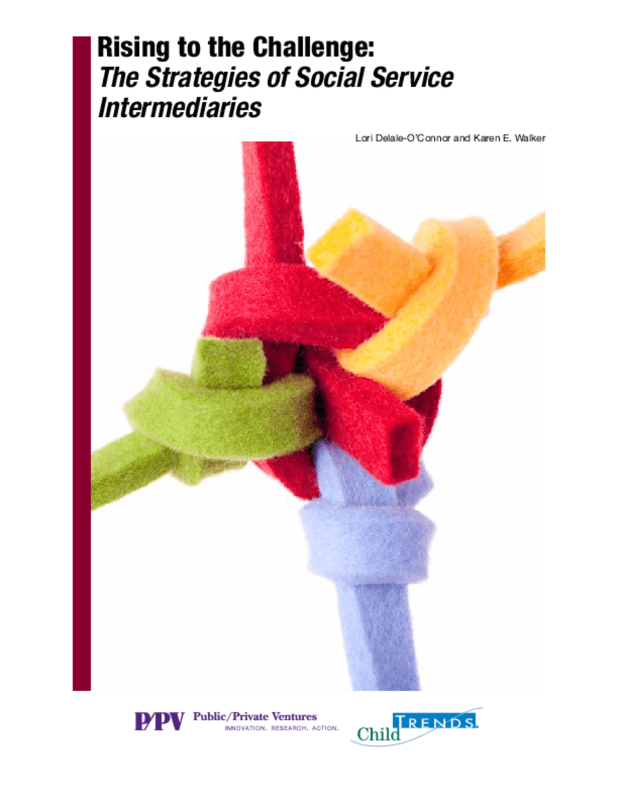 Intermediaries play an important roll in connecting organizations that share a common interest--and working to enhance the services these organizations provide, build larger service networks, promote quality standards, and monitor programs on behalf of funders. 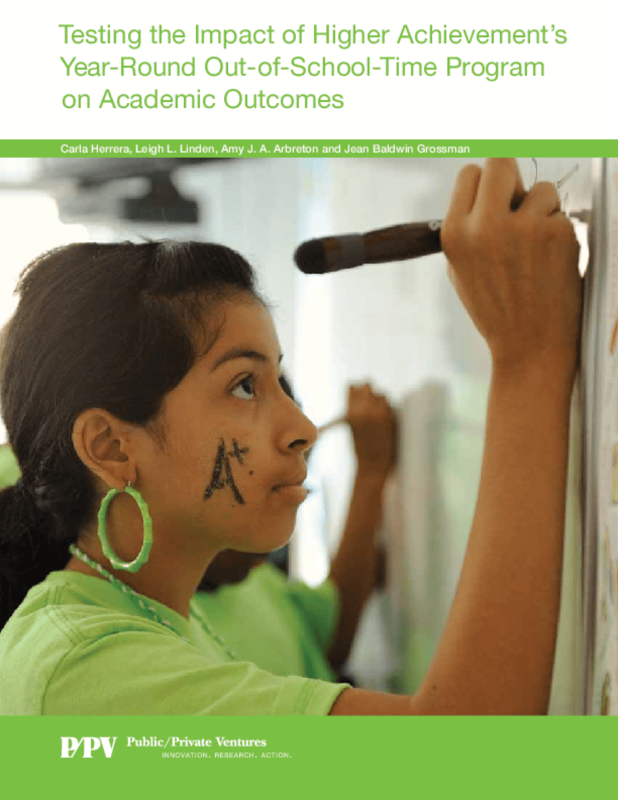 Assesses the impact of a multiyear, intensive, academically focused OST program for motivated but underserved middle school students on test scores, summer program participation, and summer learning loss. Examines contributing factors and implications. Presents findings from a multiyear evaluation of an intensive long-term OST program's effect on low-income middle school students' academic performance, attitudes, and behaviors. Outlines implications for financially strapped districts. 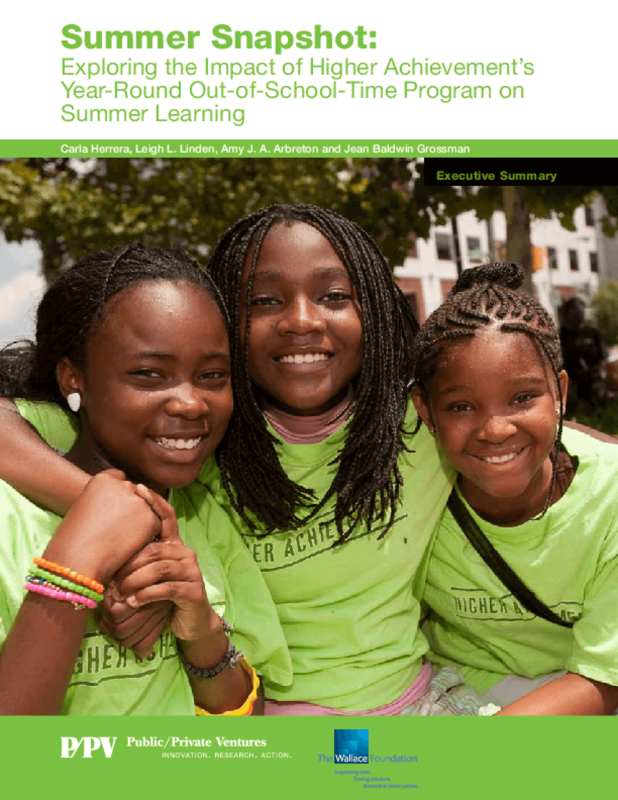 This executive summary highlights key findings from "Summer Snapshot: Exploring the Impact of Higher Achievement's Year-Round Out-of-School-Time Program on Summer Learning". Higher Achievement is an intensive, academically focused after-school and summer program that enrolls rising fifth and sixth grade students living in low-income neighborhoods, with the ultimate goal of increasing their attendance at top high schools that could launch them toward college and careers. Part of a larger, ongoing random assignment study, the report examines the program's impact on learning and experiences during the summer of 2010. 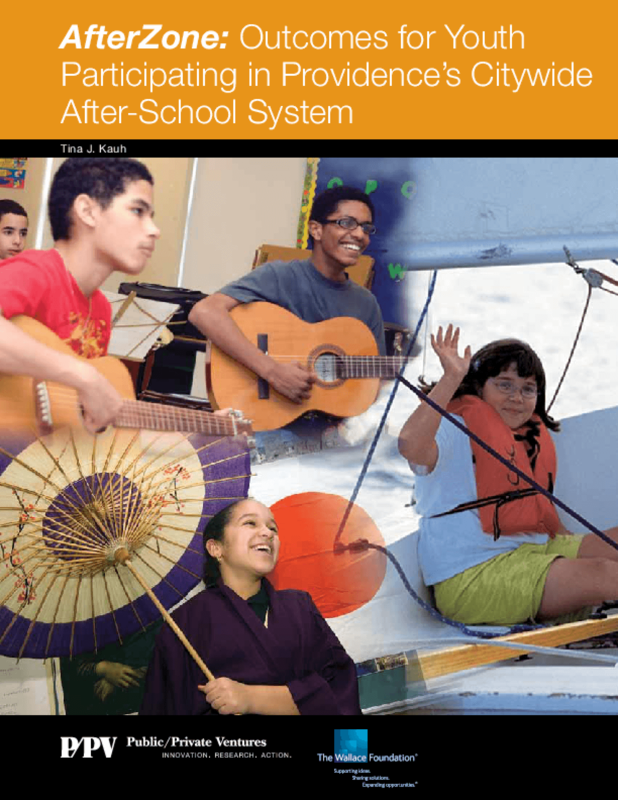 Presents findings from an evaluation of an afterschool program model that features a wide range of school- and community-based activities for middle school youth, a central coordinating body, and strong roots in the school context. Outlines implications. 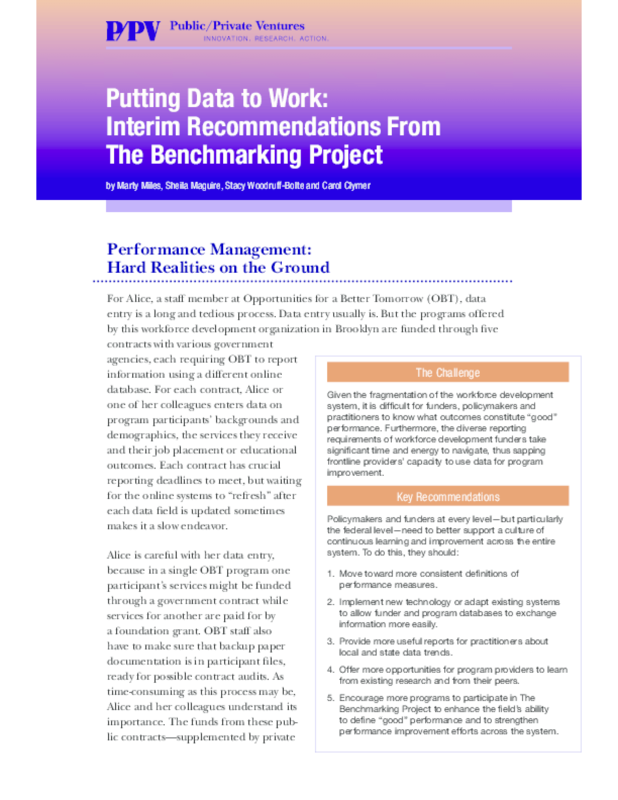 Calls on policy makers and funders to foster continuous improvement in workforce development by supporting consistent performance measures, easily exchanged data, useful reports on trends, peer learning opportunities, and broader project participation.